Marvel’s The Punisher Season 2 aired on Netflix last week. Its central narrative aside, a lot of the discussion has centered around whether the show will receive the same treatment as Daredevil, Jessica Jones and Iron Fist and end up getting cancelled. For the most part, the season is a mixed bag. It does several things right and others wrong. And hidden under its erratic pacing and inconsistent writing issues, is a wealth of character development waiting to be tapped, bits and pieces of which do make it out in several episodes. Two main conflicts run parallel throughout Season 2, giving Frank Castle two major antagonists to deal with. The first involves a new thread where a group of teenagers including Amy Bendix are tasked with obtaining compromising photographs of a high-profile senator. When the said senator’s parents find out, they in turn blackmail John Pilgrim, some kind of religious fanatic ex-hitman into eliminating the girl and securing the photos. With Frank feeling protective towards Amy, he unwittingly gets drawn in this larger conflict with a lot of shoehorned political undertones to it that reek of a larger conspiracy. The second involves returning players from Season 1. As fans would know, Season 1 ended with Frank scarring Billy Russo by banging his face against a mirror. The result not only leaves him physically disfigured but mentally disturbed as he loses his memory of certain events, leading him to believe Frank is still his friend. Also returning are Dinah Madani, who is dealing with her ex Russo murdering her partner and betraying her in cold blood, as well as ex-veteran Curtis who now gets a more hands-on role in Frank’s battle. Finally, there’s new player Krista Dumont who’s here to heal Russo but carries secrets of her own. The biggest hindrance that The Punisher Season 2 faces is in balancing these two subplots cohesively. Episodes go by at stretch when either set of characters go entirely missing, conspicious by their absence. 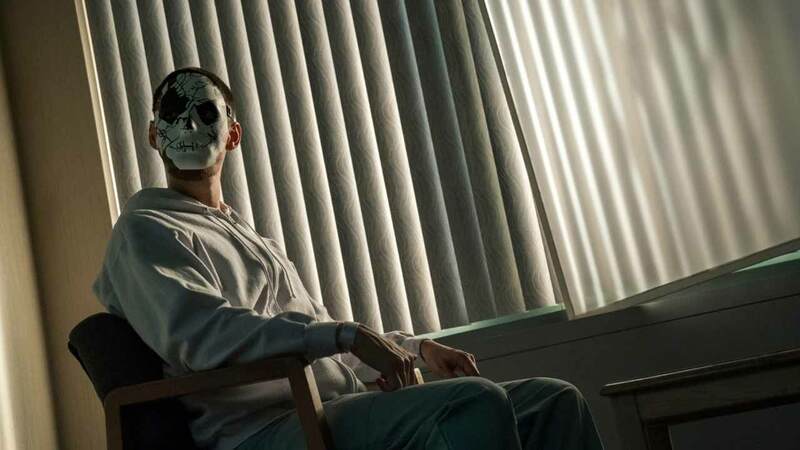 Season 2 can’t really decide whether it wants to be the season that gives fans the comic book inspired Jigsaw-Punisher showdown or introduce Pilgrim’s story which has a lot of ideas that are politically relevant. It appears at times it’s trying to do everything and ends up doing nothing convincingly. Pacing is another big issue with Season 2. That’s a standard complaint with all Marvel-Netflix shows by far, and it largely stems from the shows sticking with its 13-episode format when a shortened 10-episode run would work quite well (just look at Iron First Season 2 for instance). You’d think that sticking to 13 episodes would mean the writers have enough time to fully flesh out their characters leaving very little to the imagination but nope. On the contrary, it still feels like we know these newcomers a lot less than we knew our Season 1 characters. The Punisher Season 2 is definitely a step back in that regard; Season 1 flowed much more smoothly. That said, The Punisher does improve upon some aspects, chief of which is action. Season 1 went by for multiple episodes without Frank as much as breaking a sweat but pretty much every episode of Season 2 has one standout action sequence thrown in for good measure. We see Frank smacking goons brutally in bars, bathrooms, the gym, on the run and a myriad of other places. The fights are gory and violent and Jon Bernthal doing his own stunts only adds a sense of realism and gravitas to them. The action takes him closer to the comic version of the Punisher we’re all used to reading about. Speaking of which, this season moves the Punisher a lot closer in character to his comic counterpart. Without giving any major spoilers, the Punisher is someone who simply cannot escape the reality of war. He finds himself drawn to a conflict because that’s who he is at his core; revenge, vengeance, protection are merely excuses to allow Frank to get violent and go all out bashing criminals. Suffice to say, if there’s someone who’s done something wrong or been part of a crime, the Punisher won’t hesitate a second to kill them. This aspect of the Punisher was underplayed in Season 1 but is given enough room to flourish by the writers in Season 2. What’s frustrating about the character development though is that when it’s there, it’s just brilliant. Take Russo for instance; he was pretty much universally loathed in Season 1, and it was expected that we’d hate him as Jigsaw in Season 2. But in a cruel twist, the writers are actually able to make us care about Russo in his deranged state of mind, even presenting sequences where its Frank who appears as the villain and not Russo. Or the mysterious John Pilgrim who, thanks also to Josh Stewart’s performance, never really comes across as an all-out baddie but is someone who you realize is doing the things he’s doing because someone is driving his hand. There’s a lot to explore of these characters, or even the frustatingly underdeveloped but full of potential Krista who we never get to know in their full glory. Regardless of these issues, the actors truly give it their all, and perhaps every single one of the major cast deserves mention. Both Jason Moore and Amber Rose Revah build upon their respective characters from Season 1 and with their more involved roles in the conflict, get a lot to do. Moore especially, always makes sure to maintain Curt’s moral compass, without really letting him sink to the level of Frank. Revah meanwhile, has a lot to deal with about her actions in Season 1 and her face reflects those traumas rather subtly and excellently. Newcomers Floriana Lima plays Krista with the right amount of mystery, as Giorgia Whigham takes Amy from a complaining obnoxious teen to a sympathetic daughterly figure for Frank by the end of the episode, quite a transition. It’s the trio of Pilgrim, Russo and Castle that largely carry the show forward. Josh Stewart gives a magnificent performance and not a scene goes by when you don’t feel the immense pain his character is suffering due to his actions which he’s carrying out unwillingly. He carries the burden of a man who’s left the sort of life he’s being dragged into far behind and is only doing it all for his family, essentially mirroring Frank in some way. Ben Barnes elevates his act for Russo, portraying the damaged psyche of a man who once haunted others but is now haunted and broken by a medley of horrific images from his past. He conveys perfectly, the role of a once hunter who’s now become the hunted and transitions from crazy to compassionate in a matter of seconds. A tough act to pull but Barnes actually made me want to give Russo a shot at redemption. Ultimately though, it’s Jon Bernthal who carries his duties as the Punisher with absolute finesse. It’s tiring to state at this point how well suited he is for the role and how much effort he’s put into his performance, from his bufffed out voice and physique to the grunts, the rapid movements, the menacing, prowling eyes that look and scout at everyone to the accent. He takes his character to multiple places, dancing around with the dichotomy of who Frank is, a man on a mission seeking vengeance or a man who just can’t live without waging a war on criminals. His actions make him only somewhat more sane than Lewis in Season 1 and he skirts the line between good and bad effortlessly. For the most part, The Punisher Season 2 is a drag. But there’s enough of great material in there to warrant a complete viewing. Sadly though, viewers may get turned off and tune off towards the middle of the show, which is when its at its worst. My advice is to sincerely give it at least a once time watch and bear with the slowness, for the final episodes do truly finish on a high. It may not be as great as Season 1 but The Punisher is still worth a watch. I’d definitely be all game for The Punisher Season 3 assuming of course, that Netflix doesn’t pull the plug. I’ve reviewed the individual episodes of The Punisher Season 2 as well. You can check them out over here, or start with the first: The Punisher S02E01 review.